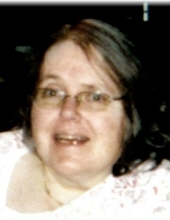 Susan M. Everhart, 66 of Batavia, passed away peacefully, surrounded by her family on Friday, April 12, 2019 at Rochester General Hospital. She was born September 5, 1952 in Niagara Falls, NY; to the late Stuart (Phyllis Clark) Moffatt. She is preceded in death by an infant son. Susan was very artistic with crafts, especially sewing and needlepoint. She was an avid reader and a fantastic cook. Susan was a brave and courageous woman who battled MS for over 40 years. Even given the limitations of her body she still had a smile and a positive attitude. She will truly be missed. She is survived by her loving husband George Everhart, her two daughters Sarah Beard & Deborah Snow, her grandchildren Erin & Anthony Snow her loving brother Ronald Moffatt and her dear friend Stacey Ziminski who loved and cared for her as if she were her own mother for the last 9 years. There will be no prior calling hours. A Graveside Service will take place at a later date. She will be laid to rest in Grand View Cemetery, Batavia. In lieu of flowers, memorials may be made to National Multiple Sclerosis Society at www.nationalmssoiciety.org. For more information please call 585-343-8260 or to leave a message of condolence please visit www.gilmartinfuneralhome.com. Arrangements completed by Gilmartin Funeral Home & Cremation Company, Inc. 329-333 West Main Street Batavia, New York 14020. To send flowers or a remembrance gift to the family of Susan M. Everhart, please visit our Tribute Store. "Email Address" would like to share the life celebration of Susan M. Everhart. Click on the "link" to go to share a favorite memory or leave a condolence message for the family.